Sandra Pérez Ramírez is frequently at Disneyland and not just because she loves to enjoy "The Happiest Place on Earth" but because Disney's Media Relations office reaches out to her often. They like her to cover resort events and celebrations on her Spanish-language blog, Mamá Noticias (Mommy News). And it's easy to understand why. She's friendly, unassuming and a very talented writer. She's also an official LEGOLAND Blogger and she shares news, tips, recommendations and inspiration en español on a large variety of topics ranging from travel and movie screenings to recipes, celebrity interviews and giveaways (her blog has ten different sections with subsections on several of them). Prior to becoming one of Southern California's most sought-after Spanish-language blogger, Sandra was a journalist in Mexico. 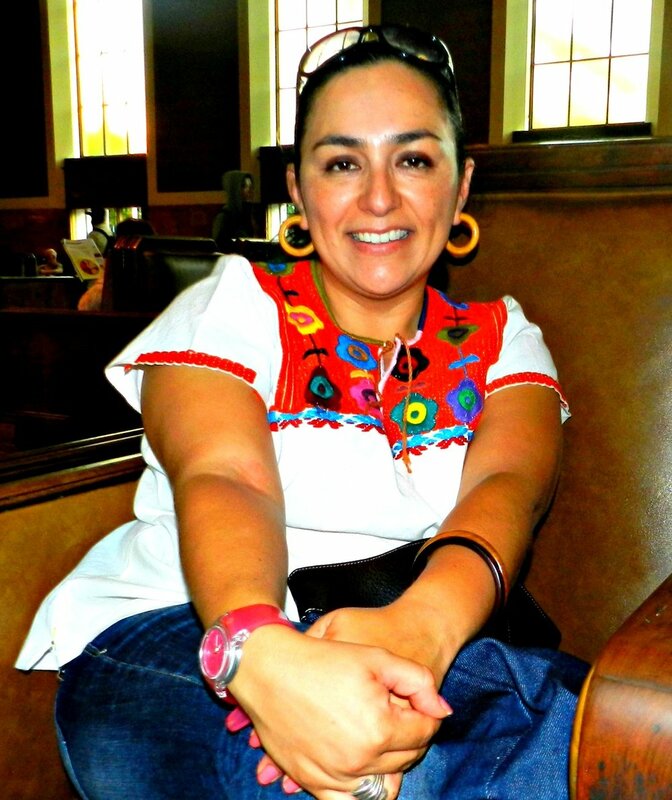 She covered entertainment and general news assignments for a decade in her homestate of Guanajuato. She also worked as a media specialist for one of the Mexican Consulate offices and her communication skills have landed her various social media writing jobs for brands looking to reach to Hispanic consumers. Sandra lives with her husband Francisco and her handsome 10-year old son Nickolas who she says is the "protagonist of our adventures... a young restless explorer with whom I largely enjoy my blogosphere adventures," she says. Awesome job, Sandra! Keep doing your thing! My dream to share my life as a Mom guided me to open a blog where Latina moms could follow my steps. I also wanted moms to enjoy the best of both worlds with their children, like I do through travel, movies, cultural events, food, etc. When I worked on a campaign where I was interviewed by the legendary Cristina Saralegui. Riding the (Metro) Subway and visiting museums, such as the California Science Museum & the Natural History Museum. Enjoy quality time with your children and live life to the fullest.